Vienna Beef, skin-on hot dog that snaps when you bite it. Then, it's "dragged through the garden," topped with mustard, freshly chopped onions, neon green relish, dill pickle, sliced ripe red tomatoes, sport peppers, and piled onto a perfectly steamed poppy seed bun. Topped off with a sprinkle of celery salt. 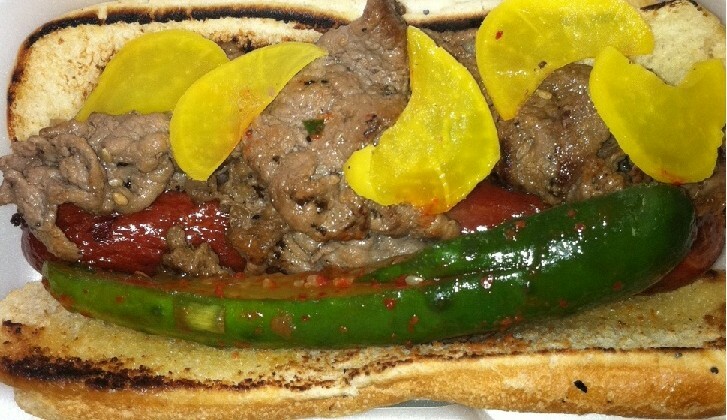 Char-griled Vienna Beef hot dog piled with perfectly cooked bulgogi and delicious kimchi. Served on a toasted bun. A GAHD creation. My sister-in-law and her family will be proud! 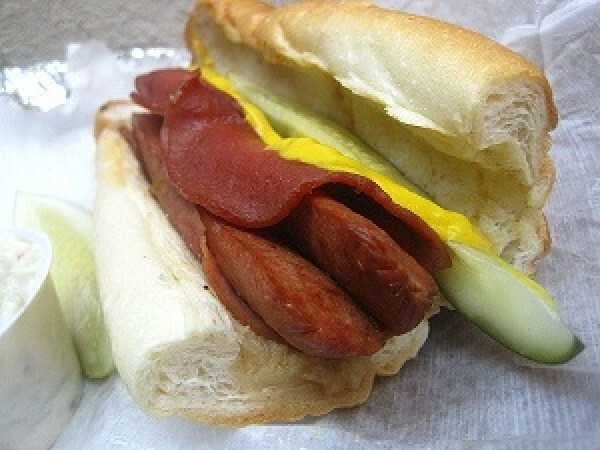 Known as the "Kosher Tommy," this is a close cousin to the Baltimore Bologna Dog. 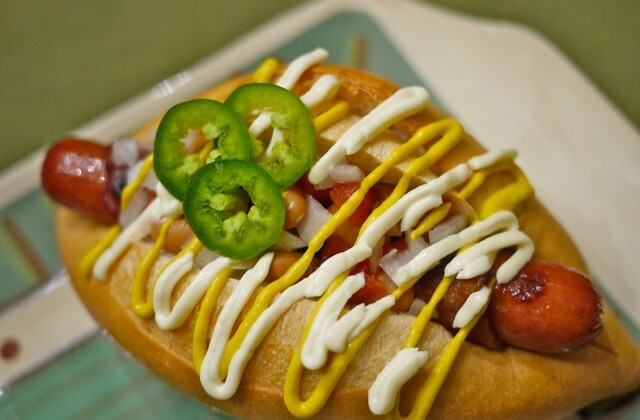 Char-grilled Hebrew National hot dog wrapped in fried Hebrew National salami, topped with mustard and a sliced kosher pickle. Served on a toasted bun. 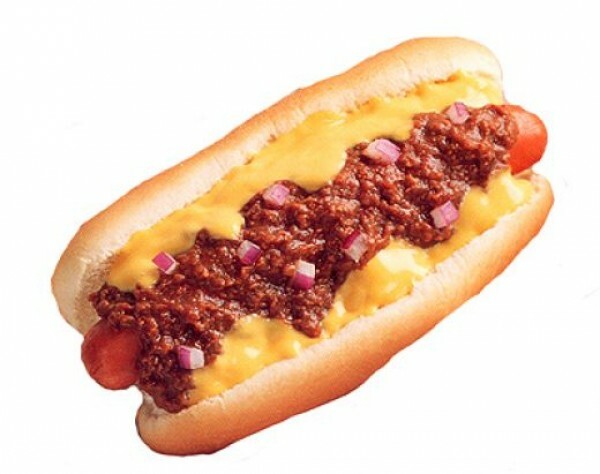 Char-grilled Vienna Beef, skin-on hot dog with a brilliant snap, smothered in delicious homemade chili sauce, topped with melted cheese and onions. Served on a steamed bun. Gotta love it! 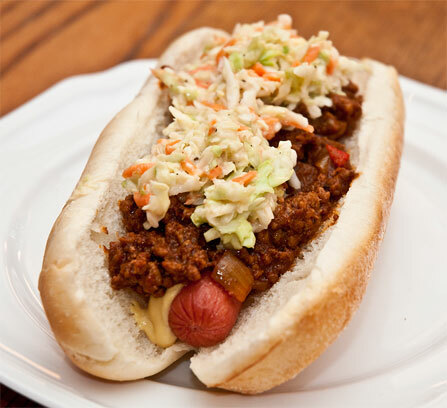 Nathan's skin-on hot dog grilled to order, piled high with chili sauce and coleslaw, and placed on a lightly steamed bun with mustard. 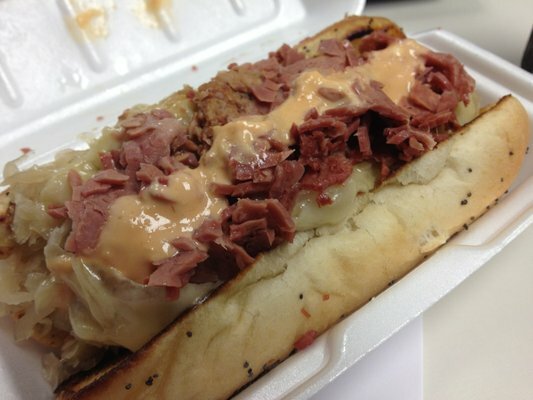 Hebrew National or Vienna Beef split and char-grilled, topped with moist and delicious corned beef from award-winning "Corned Beef King," sauerkraut, melted Swiss cheese, and angry sauce. Served on a toasted bun. A GAHD creation. 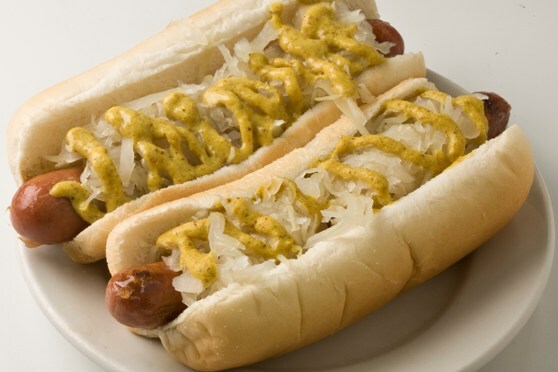 Griddled Sabretts or Nathan's Famous (both skin-on) topped with sauerkraut and spicy mustard. Served on a toasted bun (steamed upon request). 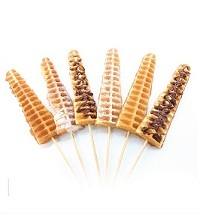 A simple classic, and Dad's favorite! 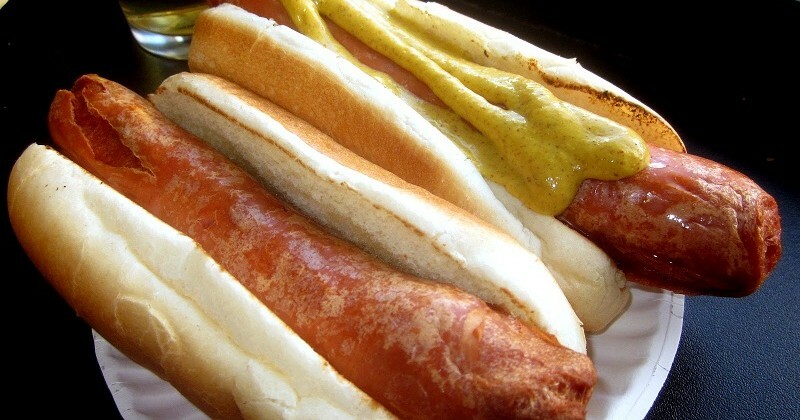 Deep-fried Thumann's hot dog, known as a "ripper" because its skin tears and crinkles when it is deep-fried. The oil bath turns the pork-and-beef link rugged, dark, and chewy on the outside, while the interior remains soft and juicy. 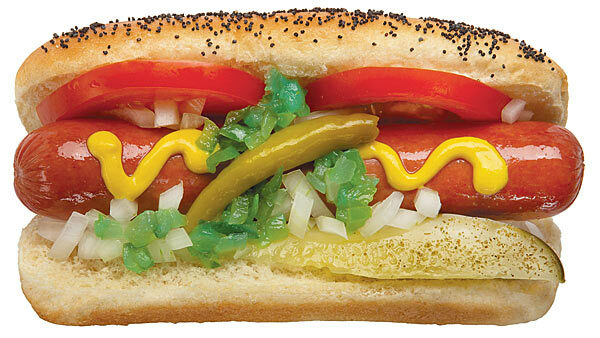 Garnished with mustard and/or spicy-sweet relish. Choose between "ripper" (standard) or "cremated" (well-done). Served on a toasted bun. Manger's half-smoke on a warm steamed bun, topped with mustard, onions and our spicy homemade chili sauce. Char-grilled footlong Vienna Beef dog imprisoned in a Whirly Fries cage. That delicious, snapping dog never had a chance! It's a felony to omit chili and cheese.